To celebrate the publication of the first in our Cycling Legends illustrated books series, Cycling Legends 01 Tom Simpson, we’ve had this special jersey made that marks the start of Simpson’s cycling journey. 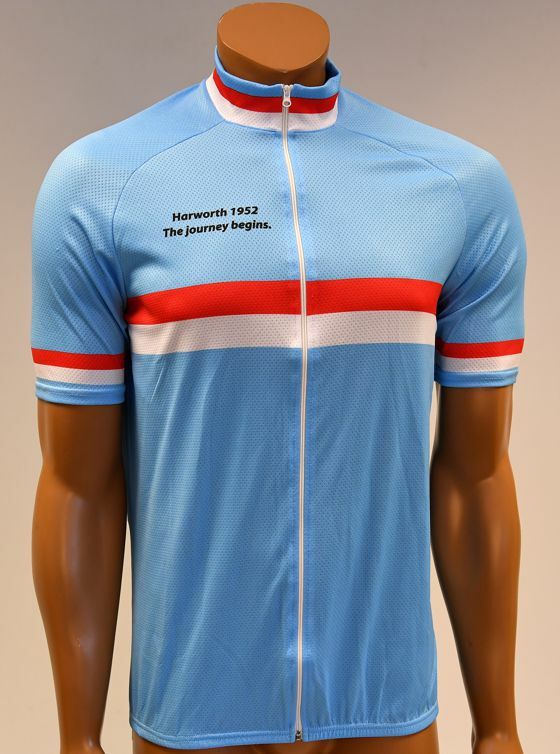 It’s in the colours and design of jerseys worn by members of the Harworth and District Cycling Club, which Simpson joined in 1952 as a skinny 14 year old. He learned to ride with the Harworth club, being dropped on every club run at first, but always fighting back. A spirit that stayed with him throughout his career. And he learned to race with the club, taking his first victories in these colours.